Located around 15 kilometres away from a village called Puswada in Kanker is a small village mostly populated by Adivasis. The area is known for sustaining grain, chana and vegetable crops. Most of the people in the village are literate. However, beyond the day-to-day, there seem to be infinite possibilities for the development of agriculture in this particular region. And since there is no monopoly over success, since success is possible with the right amount of willpower and drive to reach that point, success in this particular area is being now witnessed through the work of Puswada’s very own Chandrashekhar Sahu. Having been educated up till the tenth grade, Chandrashekhar’s economic status was not ideal, around four years ago. His large family managed to make ends meet with great difficulty. Most of the members of his family would go for the 100-days’ work provided under the Employment Guarantee scheme and thus, money was always an issue. As a farmer, he owns 6 acres of agricultural land but in the past, due to the lack of awareness of information regarding scientific methods for farming and Government schemes that support the adoption of the same, he was confused as to how to put his land to good use. In the mean time, his family was also burdened by debts of various kinds. Apart from this though, in order to fulfill his family’s needs, he also raised livestock – three buffaloes and two cows. It was later that after obtaining the requisite information, Chandrashekhar received a grant for Rs. 35,000 under the Kisan Samriddhi Yojana, to re-work an irrigation piping system on his land. He also got a 70% grant under the Micro Irrigation Scheme to buy a sprinkler pipe. Soon, he also found out that the Agricultural Department grants Rs. 12,000 for constructing vermi-compost tanks on agricultural land. He immediately approached the Rural Agricultural Extension Officer with a proposal to construct a 10x3x2 ft vermi-compost tank on his land. Under the guidance of the Agricultural Department officials, he started preparing bio-fertilizers in this tank from vegetable waste, dung etc. by adding earthworms to the tank for every 2 kilograms of waste. His hard work yielded results within three months, after which Chandrashekhar hasn’t looked back. Today, he uses chemical fertilizers alongside vermi-compost on his land. In the past year, he has also planted tomato and banana crops in 2 acres of his land which has made him Rs. 1,80,000 in earnings. His tomato and watermelon crops have made him Rs. 1,50,000 in earnings. 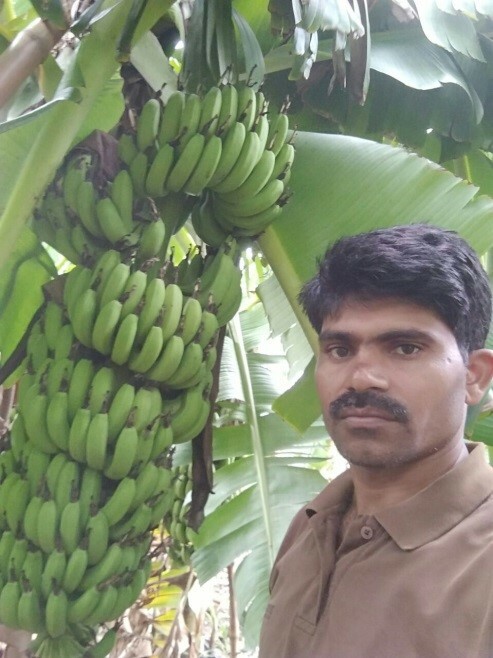 Chandrashekhar has proven that hard work really yields results, with his diligent use of bio-fertilizers and continuing to explore the infinite possibilities in the area of farming. 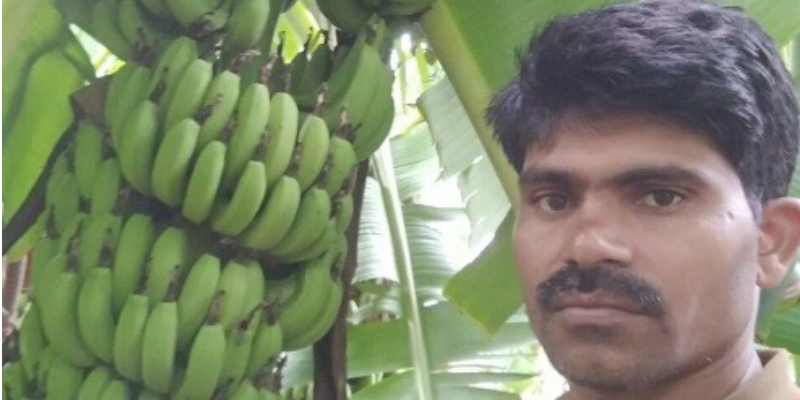 He regularly stays in touch with the Agricultural Department officials to stay updated about revolutionary methods and techniques he can apply on his farm. He also strongly advises other farmers to take advantage of the available Government schemes in order to make their own lives easier, just like he has.